On the day its term comes to an end, the Law Commission of India has released a Consultation Paper on ‘Reform of Family Law’. The Paper suggests a series of amendments to personal laws and further codification of certain other laws, particularly with respect to succession and inheritance. The suggestions also make an attempt at addressing the lacunae in laws such as the Special Marriage Act, 1954 and the Guardians and Wards Act, 1869. Since several of these issues such as polygamy, nikah halala, settlement of a Parsi wife’s property for benefit of children, as well as the law on adultery are presently sub judice before the Supreme Court, they have been discussed in the paper but comprehensive changes on some of these issues have not been suggested at this stage. “simply contributes to the stereotype that wives must be younger than their husbands”. Strongly asserting on the equality between spouses, the report states, “If a universal age for majority is recognised, and that grants all citizens the right to choose their governments, surely, they must then be also considered capable of choosing their spouses. For equality in the true sense, the insistence on recognising different ages of marriage between consenting adults must be abolished. Adultery law: The paper notes that the judgment of the Constitution Bench in Joseph Shine v. Union of India is awaited, and hence does not make any suggestion in this regard. It, however, urges a consideration about the utility or the lack there of, of a provision such as 497 of the Indian Penal Code. Grounds for divorce (No-fault Divorce): The Commission reiterates the suggestion made by it in its 71st Report on ‘Hindu Marriage Act, 1978’, wherein it had observed that restricting divorce to matrimonial disability results in an injustice in cases where neither party is at fault, or if the fault is of such a nature that the parties do not wish to divulge it and yet the marriage cannot be worked out. It then emphasises on encouraging a simplified procedure for divorce, for sustaining a healthy perception of marriage which is free of any discrimination or violence. Community of Property upon Divorce and Maintenance: The paper recommends that a no-fault divorce must accompany community of self-acquired property, owing to the fact that women are usually left in a particularly vulnerable position while allowing for immediate and unilateral divorce. It therefore suggests that regardless of whether the wife ‘financially’ or ‘monetarily’ contributes to the family income, her contribution to a household in terms of household labour, home management, and child bearing and care should entitle her to an equal share in a marriage and thus all property for income gained after marriage should be divided equally upon divorce. Rights of Differently-Abled Persons in Marriage: The paper recommends amendments to exclude from grounds for divorce forms of illnesses that can be cured or controlled with adequate medical treatment or counselling. It further suggests that general reference to terms such as ‘unsound mind’, ‘lunacy’, ‘mental disorder', need to be broken down and analysed further. Bigamy upon conversion: The paper reiterates the recommendations made by the Law Commission’s 227th report, which had exclusively dealt with the subject of bigamy by conversion. The Report had recommended that Section 16 (legitimacy of children of void and voidable marriages) of the Hindu Marriage Act be amended to include all children born out of wedlock. It had further suggested that the term ‘illegitimate’ should not be used in any statute or document. Registration of Marriage’ must apply in this regard. 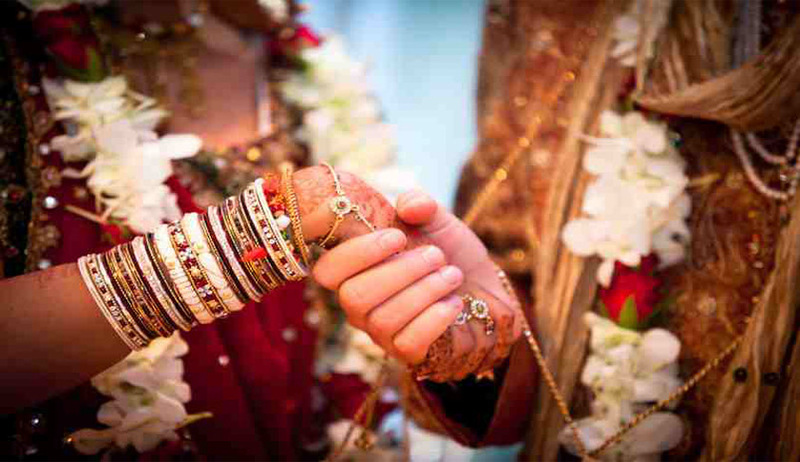 Its suggestions for changes to the Hindu Marriage Act, 1955 such as community of property, provision for a no-fault divorce have also been suggested to apply to Sikh marriages. Muslim Law: The paper states that while the procedure for seeking maintenance may be settled under Muslim law, the principle of 'community of property' upon divorce must also apply here. It further suggests that the Dissolution of Muslim Marriage Act, 1939 should be amended to contain ‘adultery' as a ground for divorce and should be available to both men and women. It further recommends that the Nikahnama itself should make it clear that polygamy is a criminal offence, and that Section 494 should apply to all communities. “This is not recommended owing to merely a moral position on bigamy, or to glorify monogamy, but emanates from the fact that only a man is permitted multiple wives which is unfair. Since the matter is sub judice before the Supreme Court, the Commission reserves its recommendation,” it explains. Christian Law: It suggests that the two year separation period for confirmation of a decree of divorce needs to be brought in line with the Special Marriage Act. Parsi Law: Irretrievable breakdown of marriage has been suggested to be added as a ground for divorce. It also calls for incorporation of community of property, as well as deletion of the provision which, in cases where the ground for divorce is adultery, makes the person with whom the adultery was committed, a co-defendant. Special Marriage Act: Several lacunae in the legislation have been highlighted. It calls for modification of the 30 day notice period for registration of marriage, in view of the misuse of the provision to discourage an inter-caste or an inter-religion marriage. It suggests that this period be reduced so that registration of marriage under Hindu Marriage Act,1955 can be attained in a day and signing of a Nikahnama also confers the status of husband and wife on the couple immediately. All other general amendments such as introduction of irretrievable marriage as ground for divorce and community of property have also been suggested to be incorporated in the Act. The paper emphasises on the importance of addressing any kind of inequality present in the Guardians and Wards Act, 1890, which is applicable to all communities. For instance, Section 19(a) of the Act states that if the husband of the minor is not unfit, then the Court cannot appoint any other person as her guardian. “The problem in the section is twofold. First, as the wife is being treated as the property of the husband. Secondly, the section does not take into consideration the welfare of the husband in case he is also a minor. If a minor cannot be a competent party to enter into a contract, making him a guardian by giving him the responsibility of another person is also unfair. Further, Section 21 not only gives the guardianship of the wife to a minor husband, but also make him guardian of the child born from wedlock,” it adds. It therefore suggests that section 19 (a) should be deleted, and mother or father of the minors be their guardians. Section 21 has also been recommended to be amended to the extent that a husband is not regarded as the guardian of the wife, and both the parents equally share responsibility of the child born from such wedlock. Hindu law: The paper recommends amendment of Section 6(a) (natural guardians of a Hindu minor) of the Hindu Minority and Guardianship Act, 1956, to use to term “parents”, instead of father or mother, in order to leave no room for the interpretation of the law in such a manner that it gives preferential right to one parent over the other. Muslim law: It suggests that a Muslim mother should also be treated as the natural guardian of the minor— both the parents should be at an equal footing. Further, in the matter of custody, a father should also get an equal opportunity to be considered as a custodian. Thus, in the absence of a clear codified law on custody of children, the principle of best interest of the child should continue to be of paramount consideration. Parsi law: The paper acknowledges the fact that Section 50 of the Parsi Marriage and Divorce Act, 1936 is discriminatory for the father. The provision stipulates that in case of adultery committed by the wife, the court can pass a decree of divorce or judicial separation. In that case, if any property is devolving upon the wife, one half of the same can be reserved for the welfare of the child(ren). It, however, does not make any specific recommendation, owing to the fact that the matter is sub-judice before the Supreme Court in Naomi Sam Irani v. Union of India & Anr. The Commission states that the major flaw in the Juvenile Justice (Care and Protection of Children) Act, 2015 is that it is inadequate in addressing the jurisprudential questions on adoption. It then strongly suggests the use of the term ‘parents’ in place of ‘mother and father’ in adoption provisions under the Act, to enable individuals of all gender identities to avail of the Act. It also recommends that the word ‘child’ should replace son and daughter so as to ensure that intersex children are not excluded from being adopted. Besides, it is asserted that the Act should be the central statutory law on adoption, applicable to all irrespective of caste, creed, religion or region. Hindu Law: The paper advocates for abolition of coparcenary at the central level and suggests that the right in a property by birth be extinguished, by opting for ‘tenancy-in-common’, instead of ‘joint tenancy’. Hindu Undivided Family (HUF) has also been suggested to be abolished, noting that the institution of HUF was being used for tax avoidance. The paper also highlights the need for relocation and reconciliation of heirs, based on the 204th LCI report proposing amendments to the Hindu Succession Act. Besides, it addresses the issue of self-acquired property of a Hindu female, noting that the heirs of husband, including his Class II heirs, agnates and cognates have a prior claim over the property of female intestate compared to her own parents and siblings. Muslim law: The paper suggests formulation of a complete code, i.e., Muslim Code of Inheritance and Succession, applicable to both the sects – the Sunnis and the Shias, along all the schools falling under either, “in order to eliminate the obfuscation and to demystify the currently esoteric inheritance law followed among Muslims”. It further advocates for succession to be based on proximity to the deceased rather than preference to male agnates heirs. Further, it has been recommended that a widow, childless or not, would be a Class I heir, and would, therefore, inherit the property of the deceased as a Class I heir, taking one share. Christian Law: The paper suggests amendments of the Indian Succession Act, 1925 to incorporate a three-class system of succession for Christians. It clarifies that a three-class system is being suggested to ensure that proximal relationships of the deceased intestate are the ones who inherit the property, and only in their absence, the property devolves upon distant kindred. It also suggests alternate amendments, in case this suggestion is not accepted. Further, it recommends that amendment be introduced to keep some portion of the property (to be fixed by law) outside the power of disposition by will of the testator (belonging to all religions). This restricted portion may be used for the welfare and maintenance of the testator‘s widow, unmarried daughter, minor son or elderly dependant parents. Parsi Law: It suggests that a Parsi woman should be allowed to retain her identity and status of a Parsi even if she marries outside the community. Consequently, it suggests that the children born of such marriage should be allowed to inherit if they choose to profess Zoroastrian religion and not to adopt their father‘s religion. Inheritance rights of illegitimate children: The paper notes that while Courts are trying to afford inheritance rights to children born out of wedlock as much as possible by interpreting the law liberally, the lack of a secular Central law in this regard is conspicuous by its absence. The Commission then recommends that illegitimate children, for the purpose of intestate succession under Indian Succession Act, 1925, should be given a right to inherit the self-acquired property of their parents. To this end, it suggests that the definition of ‘child’ under the Act should be amended to included ‘illegitimate child’. This consultation on family law reforms in India, discusses a range of provisions within all family laws, secular or personal, and suggests a number of changes to in the form of potential amendments and fresh enactments. As general suggestions to reforming family law, the paper discusses the introduction of new grounds for ‘no fault’ divorce accompanied by corresponding changes to provisions on alimony and maintenance, rights of differently-abled individuals within marriage, the thirty-day period for registration of marriages under Special Marriage Act; uncertainty and inequality in age of consent for marriage, compulsory registration of marriage, bigamy upon conversion etc. Under Muslim law the paper discusses the reform in inheritance law through codification of Muslim law on inheritance, but ensuring that the codified law is gender just. The paper also discusses the rights of a widow, and the changes application to general laws such as introduction of community of (self acquired) property after marriage, inclusion of irretrievable breakdown of marriage as a ground for divorce. Under Parsi law there are suggestions relating to protecting married women’s right to inherit property even if they marry outside their community. The paper also suggests the expansion of the Juvenile Justice (Care and Protection) Act, 2015, to make it into a robust secular law that can be accessed by individuals of all communities for adoption. There are suggestions for amending the guidelines for adoption and also a suggestion to alter the language of the Act to accommodate all gender identities. The paper discusses lacunae within custody and guardianship laws, statutory or customary, and suggests that the ‘best interest of the child’ has to remain the paramount consideration in deciding matters of custody regardless of any prevailing personal law in place. Although the sixth schedule provides exemptions and exemptions to states in the North East and tribal areas, we suggest that efforts of women’s organisations in these areas be acknowledged and relied upon in this regard to suggest ways in which family law reform could be aided by the state even when direct intervention may not be possible. Since a number of these issues such as polygamy, nikah halala, settlement of a Parsi wife’s property for benefit of children, as well as the law on adultery among others is presently sub judice before the Supreme Court, they have been discussed in the paper but comprehensive changes on some of these issues have not been suggested at this stage.